As a new year gets underway, many newly engaged couples travel to the Outer Banks to participate in the OBX Wedding Expo, an annual event drawing a sizeable crowd of eager brides. Throughout the weekend, couples will have an opportunity to explore venues, speak with wedding vendors, and sample delicious cuisine! After attending the Expo, brides will have a better understanding of the many options that are available for a dream destination wedding along the shores of the Outer Banks! Having options as to the way your special day will unfold is great! Once you start fine tuning the details of your wedding day, there are a few things to consider. …Where will the wedding ceremony take place? What time of day would you like to get married? Who will serve as your officiant? Will you have attendants? 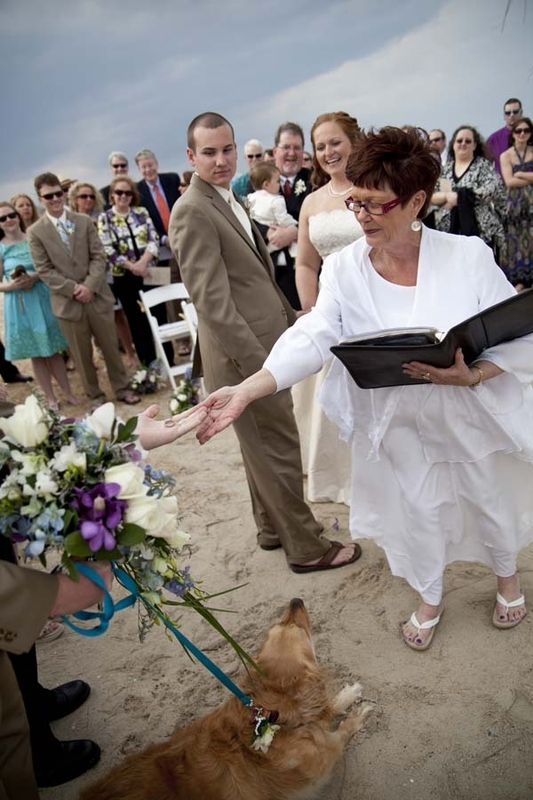 Your Outer Banks ceremony should be no longer than 30 minutes which would include the processional and recessional. Guests will start gathering on the oceanfront 15- 30 minutes prior to the ceremony and may want to linger afterwards. However, they should not be held on the beach any more than one hour due to the heat of the summer months. I would suggest between 6 and 7 p.m. for ceremonies June- August and 6 to 5 p.m. at all other times. Spring and fall are beautiful times and often ceremonies are held from 11 a.m. onward. A sunrise ceremony is also possible but should include a small amount of guests. Be sure to check out Rev. Tanya Young’s website for many helpful resources for Outer Banks’ brides! Congratulations and we’ll see you at the beach!